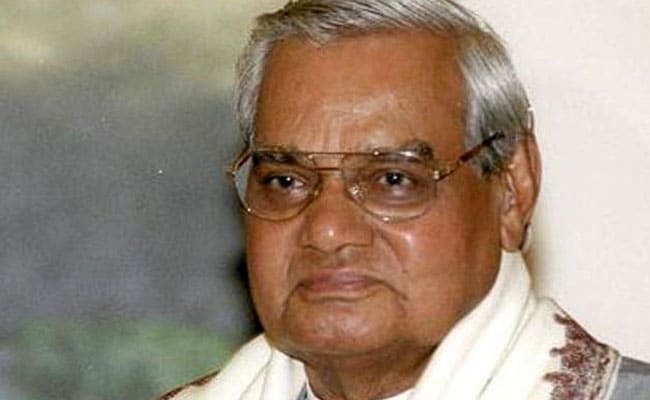 Mr Vajpayee, who had inaugurated the DMRC's first-ever corridor on December 24, 2002, fulfilling a long-cherished dream of the capital city, died here today after prolonged illness. Many of the nearly 27 lakh commuters who hop on to the Delhi Metro every day are unlikely to be aware that the sprawling network started with an 8.2-km section of the Red Line was inaugurated by the then Prime Minister Atal Bihari Vajpayee. "He had boarded a brand new train from Kashmere Gate station of the all-elevated section of the metro. He even bought a smart card from a counter to enter the paid area of the station. It was a momentous day for Delhi," a senior DMRC official said. The then Delhi chief minister Sheila Dikshit, deputy prime minister L K Advani, union minister for urban development Ananth Kumar, DMRC chief E Sreedharan and Metro chairman Madan Lal Khurana were also present on the occasion. "Vajpayee and other guests after boarding the train from Kashmere Gate alighted at Seelampuri station. A function was later held where the then prime minister officially flagged off the service," he said. The Shahdara-Tis Hazari section has six stations. The DMRC currently ferries about 27 lakh commuters per day through its various corridors that now even connects cities in the neighbouring states. The metro network currently spans 296 km and has 214 stations. The over 8 km-long Durgabai Deshmukh South Campus-Lajpat Nagar section of the metro's Pink Line, billed as a "corridor for shoppers", was inaugurated on August 6.